Looking for a job? Need help with cover letters and resumes? Have an interview coming up and need some tips? Make an appointment with the staff at the Student Success Center to get individualized help with your cover letters and resume. The staff located in the center is available to schedule individualized mock interviews to give students positive feedback on how to make their interviewing skills better. Be sure to check the Student Success Center’s job bulletin board frequently for up to date job postings, internship and volunteer opportunities. Are you unsure about what you want to do with the rest of your life? Need help determining what college and career path you want to go on? Check out the following links to learn more about career paths and take skills assessments to guide you in choosing a career path that is right for you. Use the Skills Matcher to create a list of your skills and match them to job types that use those skills. Answer questions about the type of work you might enjoy. 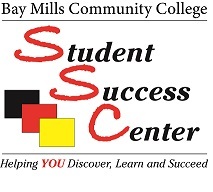 The Student Success Center (SSC) is a one-stop-center that offers one-on-one assistance to help students plan for and achieve their academic and career goals.